What are you thankful for? Throughout your design career you’ve been given opportunities by designers, studios, and clients willing to take a chance on you. Take a moment this Thanksgiving season to give that same opportunity to the next generation of talented artists and designers. Please join us for the Fifth Annual Design Continuum Fundraiser on November 29th and help us fund the next generation of creative talent. Meet our past scholarship recipients and mingle with Denise Korn, Founder of Youth Design, all the while being part of a great cause. Guests will enjoy beer and wine, in addition to heavy hors d’oeuvres. Cocktail or business attire is preferred. 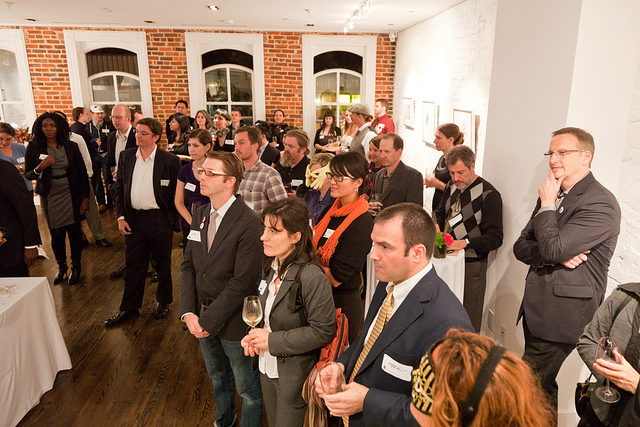 Thanks to Patrick Ryan Photo for event photography.